How to Do a Hindu Shuffle - Introduction. While the Hindu Shuffle can be used to mix the cards in a deck - it rearranges the order of the cards in segments - the shuffle itself is rarely used by non-magicians, for example, in a game of cards. In these situations, you’re far more likely to see people using Overhand Shuffle or Dovetail Shuffles. 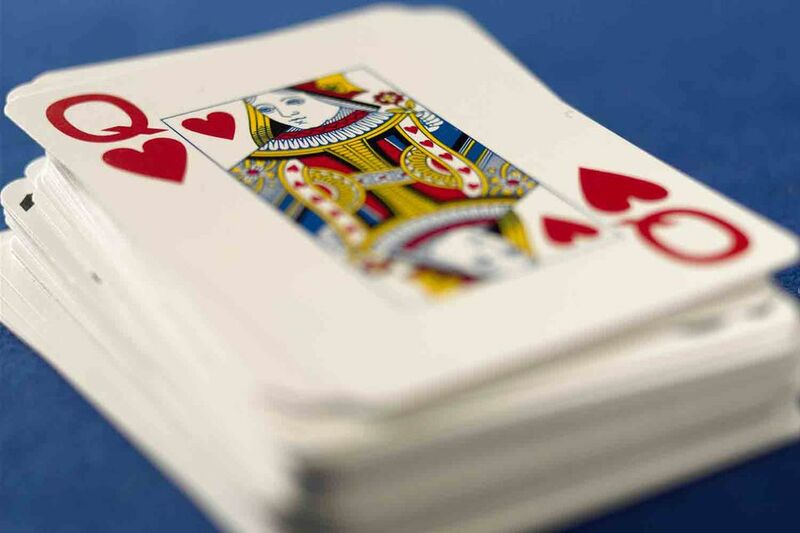 In card games, you'll often see lay people shuffle in their hands using the Overhand Shuffle. What's different about the Hindu Shuffle is that instead of holding the cards and shuffling with the long end of the cards, you're holding the deck and shuffling the cards using the short end of the cards. As a result, in a Hindu shuffle, the hand that's holding the deck tends to be in a slightly unnatural or awkward position. When performing a Hindu Shuffle, you have to perform it in a low position. And if you're sitting at a table, this can be awkward. As anyone knows, you can't hold the cards under the table. You want to keep them out in the open. The Overhand Shuffle, on the other hand, can be performed with the hands held high up and holding the cards in this position feels natural. While there are moves and magical outcomes that lend themselves to the Hindu Shuffle, in almost every way, including legitimately mixing the cards, The Overhand Shuffle is generally a better choice. How to Do a Hindu Shuffle - Hold the Deck. Begin by holding the deck with your right hand. Notice how the deck is gripped by the thumb and fingers of the right hand on the sides of the deck. Also, the deck is gripped from above. Your wrist, due to the anatomy and movement of the arm, has to be positioned above the deck. If you're left handed and feel more comfortable holding the deck in the opposite hand, feel free to do so and just mirror the instructions. Using the fingers and thumb of the left hand, grab a group of cards from the top of the deck and move them into the direction of the arrow. How to Do a Hindu Shuffle - Drop the Cards in the Left Hand. After taking the cards, drop them from the left fingers onto the palm of the left hand. How to Do a Hindu Shuffle - Repeat. 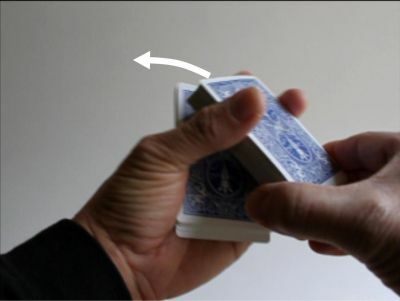 While holding the cards in the palm of the left hand, return to the right hand to grip another group of cards from the top of the deck with your left fingers and remove them in the direction of the arrow. You're repeating what you did in the first step. How to Do a Hindu Shuffle - Finish the Shuffle. Drop the next set of cards onto the palm of your left hand. Repeat the steps until you’ve exhausted the entire deck into your left hand. You can watch a video that demonstrates the Hindu Shuffle here.